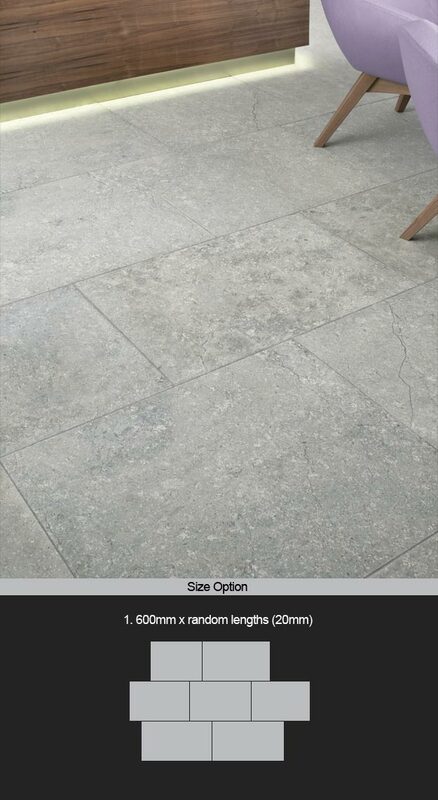 This light grey limestone floor is available in 600mm widths with random tile lengths. With its satin textured honed finish this limestone flooring has lots of interesting seashell figuring and slight line fissures. An overall very attractive floor and an ideal design choice for contemporary and traditional interiors. * Domestic & commercial interiors.